Whether found in a hospital, military base or a restaurant, all food service facilities should follow a basic recipe for recycling empty steel food cans. First, for basic sanitary reasons, steel food cans should be rinsed clean without wasting water. This can be accomplished by rinsing them in used dishwater or in the extra spaces of the dishwasher. Once rinsed clean, the can should be flattened to save storage space. Of course, recycling containers can hold more flattened cans and thus have to be emptied less often, saving collection costs and tipping fees. To flatten the can, trim the unopened end of the can and step on the body of the container. The trimmed ends are recyclable as well, so store them in a single uncrushed can or tuck them inside the flattened one. If the food service facility uses a large amount of steel cans, investing in a can crusher should be considered. These machines can crush plastic and aluminum containers as well. Finally, place the cans in a storage container large enough to hold as many cans as generated between collections. Because of space, sanitation and outloading convenience for the hauler, this container will normally be “dockside” at the loading dock area for deliveries and pick-ups. A waste hauler can often provide a storage container for steel cans and other recyclables for commingled or source separated pick-up. 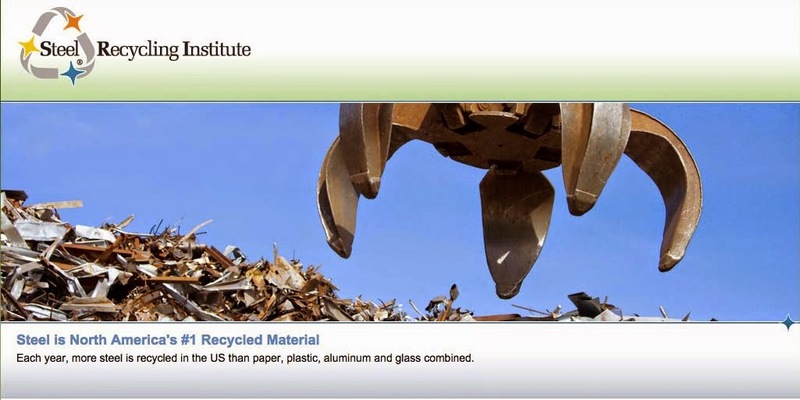 Establishing a recycling program requires more attention than the actual recycling. But by doing so, a facility can provide itself with a cost efficient means of diverting solid waste from landfills and conserving natural resources, as well as a possibility of realizing a savings in waste disposal costs.